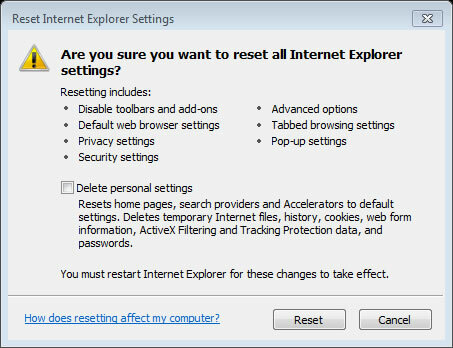 There may be an occasion where you want to have Internet Explorer reset to its default settings. If you need to do this, follow these instructions. 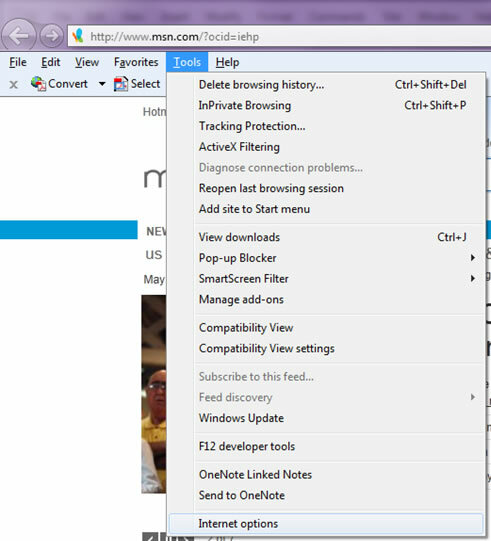 First open Internet Explorer and go to the Tools menu. If you do not see your menu bar, press Alt on your keyboard and it should pop up. 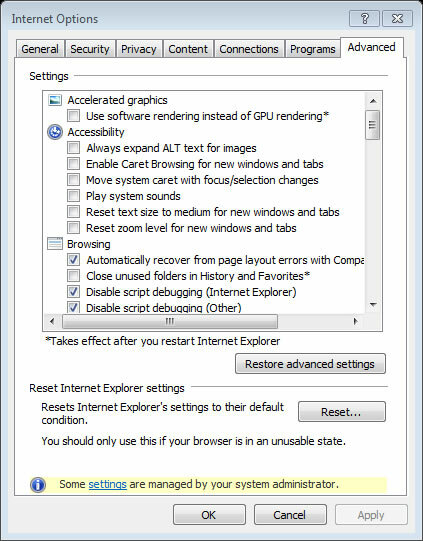 Once you are in Internet Options, navigate to the Advanced tab. You will be given a warning box before finally resetting. Take note that all of your cache, cookies, and web information will be lost if you select Delete personal settings.